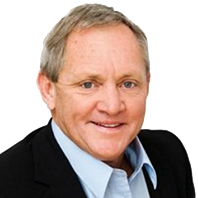 With over 30 years' experience in the real estate industry, Geoff has a wealth of knowledge and expertise. Among the many distinctions of his career, Geoff has twice been named Top Sales Representative within the Landlink organisation, by value of properties sold. With his ethical approach and excellent knowledge, Geoff has an extremely high rate of referrals and repeat business. People know they can contact him for accurate, honest and hassle-free real estate advice - and this is the approach he takes to training.